It's always exciting to see new restaurants. For obvious reasons, it means I get to try new things and hopefully the food makes an impression. Now out along the Scott Road corridor, it is even more exciting if the new restaurant is not Indian. Again, I love Indian food, but variety is important! 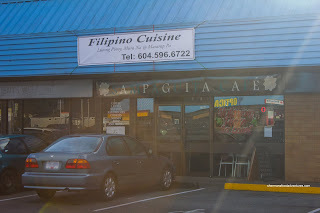 Fresh off trying out Maria & Maria Cafe nearby (which has since closed), there is yet another new Filipino restaurant. Located in the partially deserted Kennedy Heights Shopping Centre, we now have Sampaguita Cafe. Similarly to Maria & Maria, they are a catering business which also operates as a cafe. They offer the regular wraps and sandwiches in addition to Filipino food. For me, there was no way I was going to have a sandwich. Instead, I went for 2 items and rice starting with the Caldereta (beef stew). 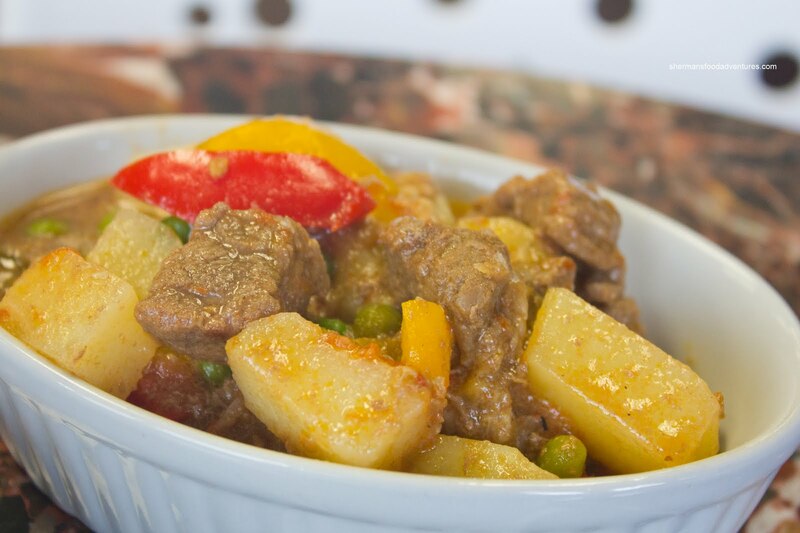 This version was slightly bland and it was quite obvious it wasn't exactly ready since the potatoes were still firm and the meat slightly chewy. It was pleasant enough if not a touch mild (and I'm not talking about spice). There are different recipes to this dish and I once had it with coconut milk (which is rare) and that made it more rich. For my second item, I had the Afritada (chicken in a tomato-based sauce). This one was also quite mild with the pieces of meat being the chicken wing. Therefore, the meat was moist and tender with the skin being slightly rendered. 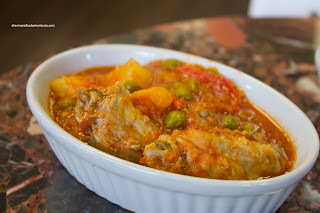 The veggies in this dish were cooked down more so than the caldereta, which made it easier to eat. underwhelming, I wanted to see what some of the other dishes were like. Despite all indications they should be open at 10:30 (according to their website), they never seem to be. Thus, after a couple of fails, I finally caught them open (more like at noon). Since I had no time to actually sit down and eat, I got 2 items to go. Their rice was not ready yet, so I had to do the no-carb diet for lunch. 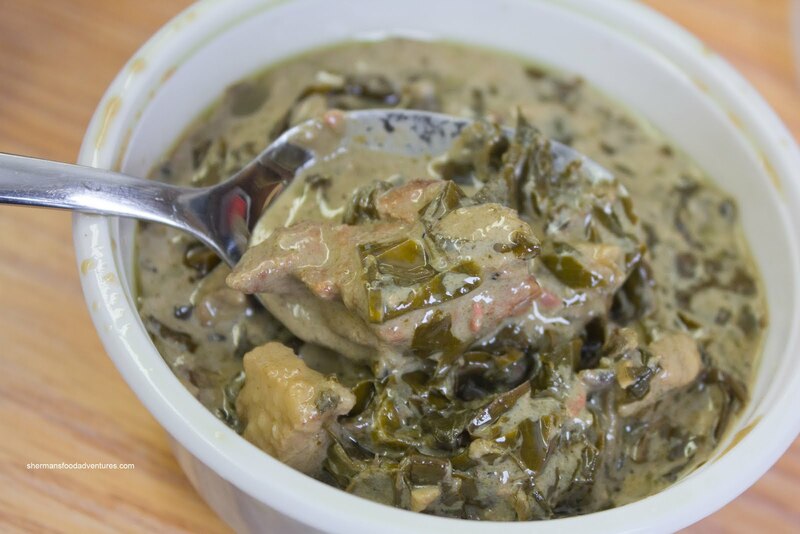 I decided to to give the Laing (pork with taro leaves) a go and boy was it salty. Okay, to be fair, I didn't have it with rice and that would skew things a bit. Whatever, the case, it wasn't lacking in flavour. Lots of coconut milk in an extremely rich sauce with fatty pieces of pork. The taro leaves were predictably wilty, but I didn't mind it. 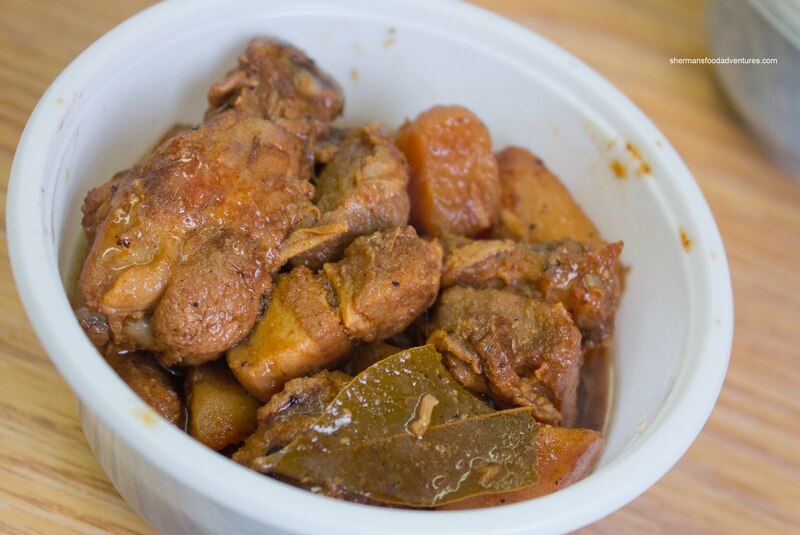 Lastly, I had to try their Pork & Chicken Adobo. This was also not lacking in flavour although the potatoes were probably a tad too vinegary. Again, I ain't complaining since the meat was moist and the flavours seemed to have had time to meld. It was pretty obvious my second visit yielded different results than the first time. Textures were better and flavours were more pronounced. It could be that the food was more "ready" this time around than last. I would say Sampaguita is pretty decent place for lunch with not much in the way of competition nearby.